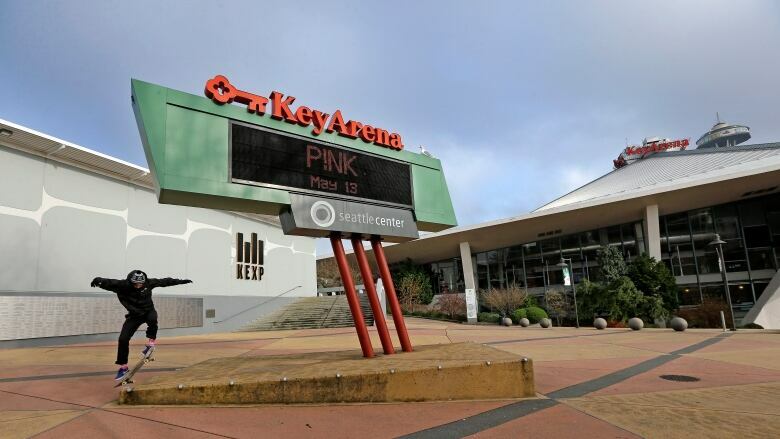 The Seattle city council on Monday approved a memorandum of understanding with Los Angeles-based Oak View Group to privately finance a roughly $600 million US remodel that would nearly double the square footage of KeyArena. The facility housed the NBA's SuperSonics until they relocated to Oklahoma City and became the Thunder. "I believe this is the best thing for the city of Seattle whoever you cheer for," said council member Debora Juarez, who co-chaired the council's committee on civic arenas. She said she was proud of the agreement that was hammered out "at little or no costs to the taxpayers" and embodied the city's values. Following the 7-1 council vote, Mayor Jenny Durkan said in a statement that she looks forward to reviewing and signing the MOU later this week. "I've said consistently that I'm committed to bring back our Sonics, recruit an NHL team, and invest in our city," Durkan said. "We feel extremely good about the partnership between the City of Seattle and OVG and respect and applaud the City in its ability to be thoughtful, collaborative, and deal focused throughout this process while maintaining the best interest of its citizens," Oak View Group CEO Tim Leiweke said in a statement. KeyArena opened its doors in 1962 and was last renovated in 1995. It is currently home to the WNBA's Seattle Storm and hosts dozens of concerts and other events. It had about 570,000 visitors last year. Council members praised the agreement for including benefits for the city including $20 million in cash and in-kind contributions to non-profit organizations and another $40 million to help improve transportation in the area around Seattle Center. The council's action comes one day after an agreement for another arena in Seattle's stadium district expired. The city and investor Chris Hansen agreed to an arena plan in 2012 that was contingent on Hansen acquiring an NBA team and included some public investment in a project to be constructed near Safeco Field. Hansen has since offered a completely privately financed project, but has continued to run into road blocks in getting final approvals to make his arena "shovel-ready" should an NBA team become available. Hansen and others said in a statement that they remain steadfast in bringing an NBA team back to Seattle. "Having two viable arena options puts Seattle in the best position to attract and NBA team," Hansen and other partners said in a statement.